Great recipe for lunch and dinner. 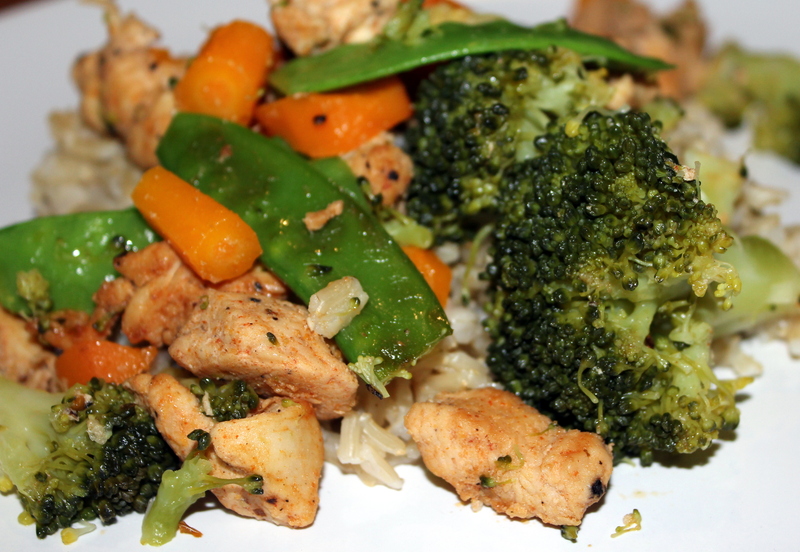 It taste great, is full of nutritious and easy to make. 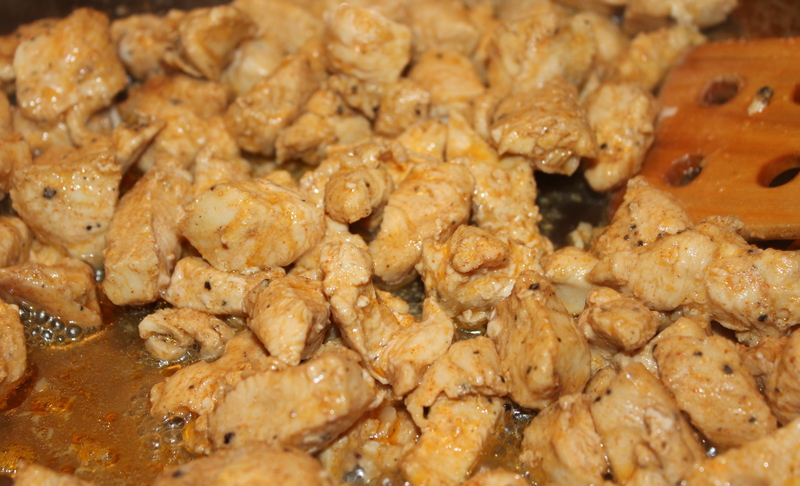 Cut the chicken breast into bite size pieces. 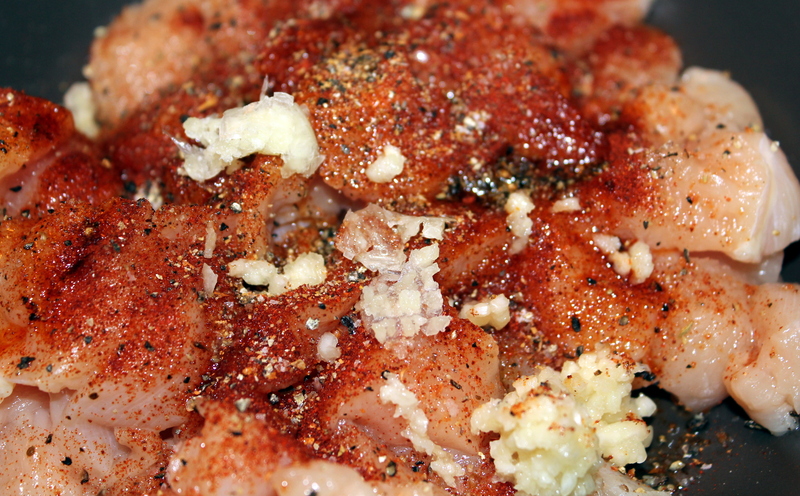 In a bowl combine together chicken, salt, ground pepper, paprika and pressed garlic. 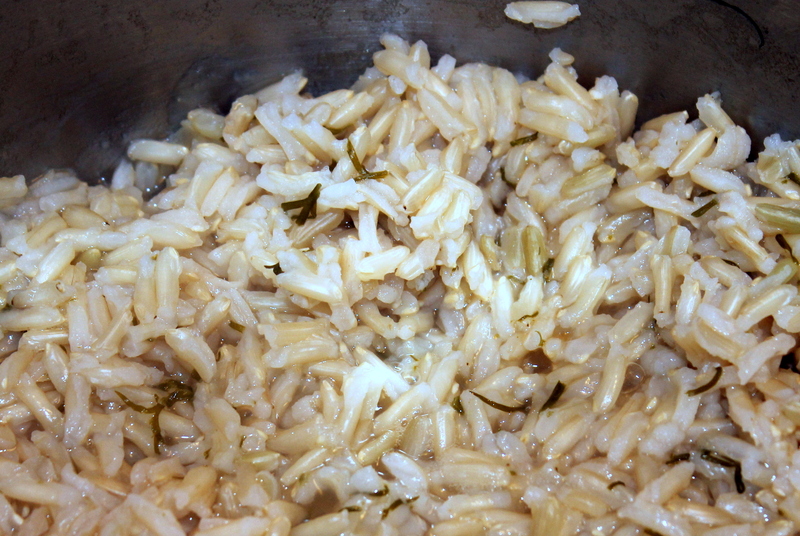 Cover, let sit for 10 minutes in the refrigerator. 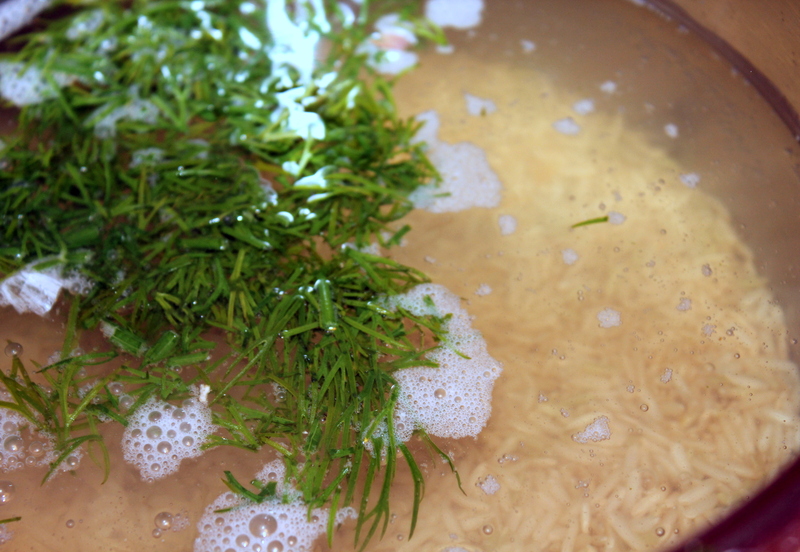 Meanwhile, cook the brown rice with direction on the bag but add fresh dill to cooking rice. 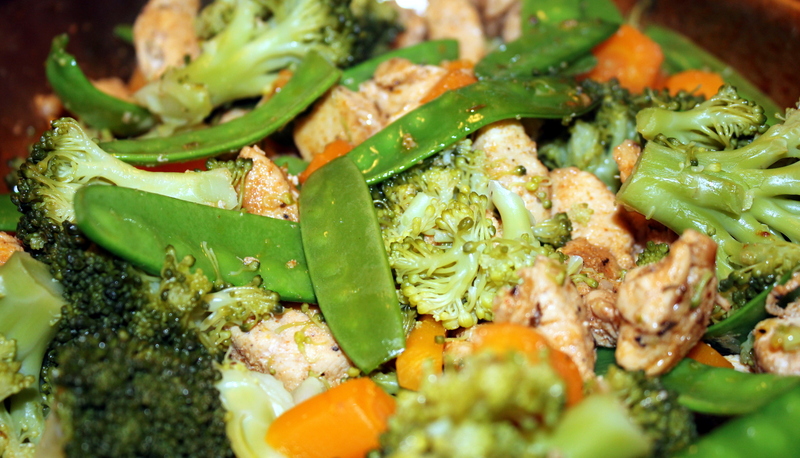 Dice the carrots, trim the snow peas and divide broccoli to smaller pieces. 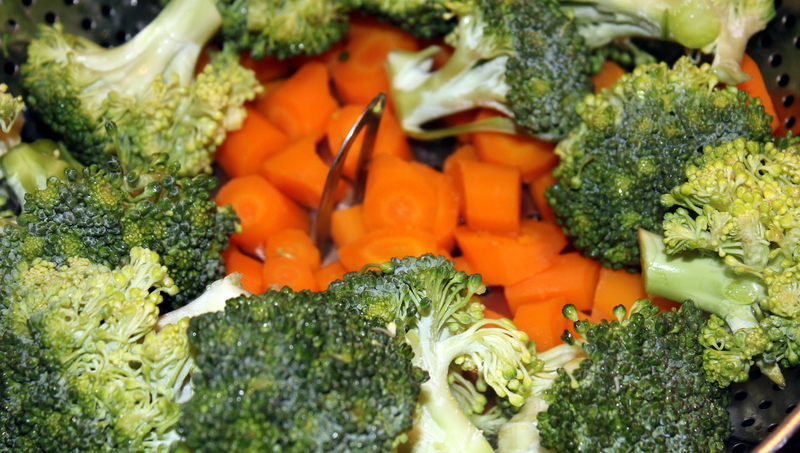 In the pot with vegetable steamer basket, steam first the carrots around 10 minutes, then add broccoli for another 4 minutes. Heat a large skillet over medium-high heat. 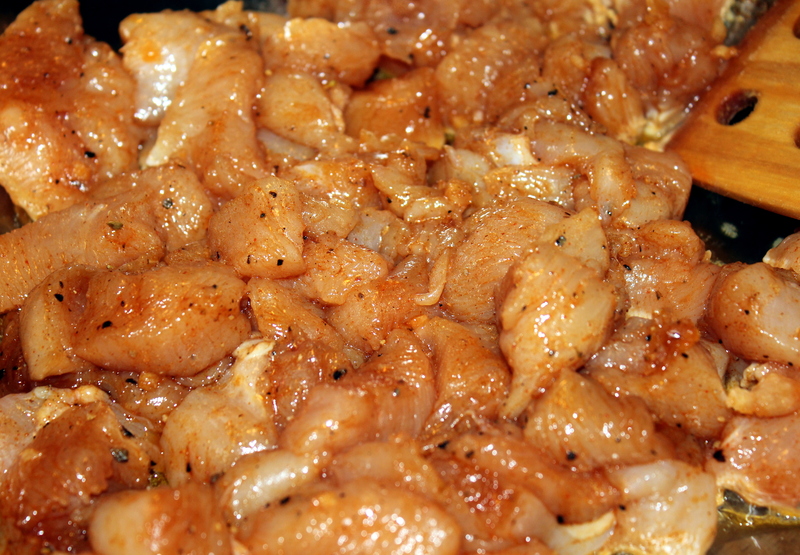 Place the chicken into hot oil, cook for 5 minutes, stirring often. 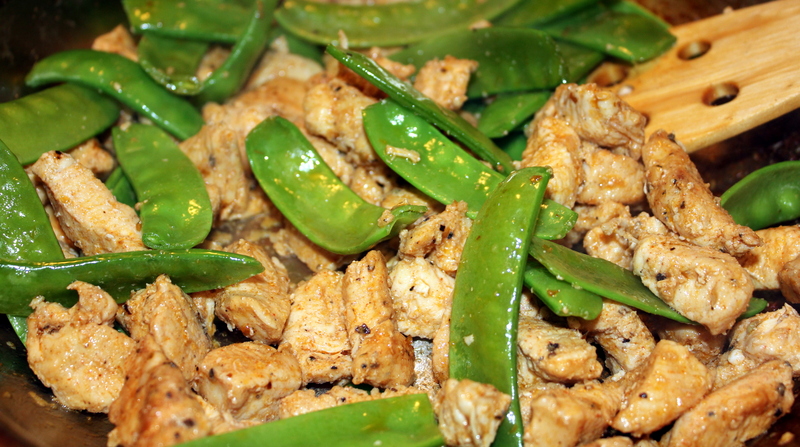 Add snow peas and cook for 3 minutes, then add steamed broccoli and carrots. Combine together. 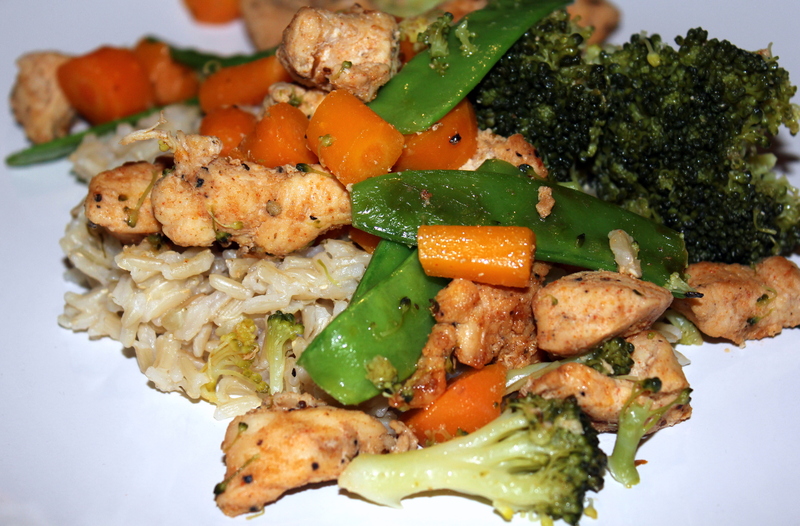 Place the brown rice on a plate, add chicken with vegetables on top.